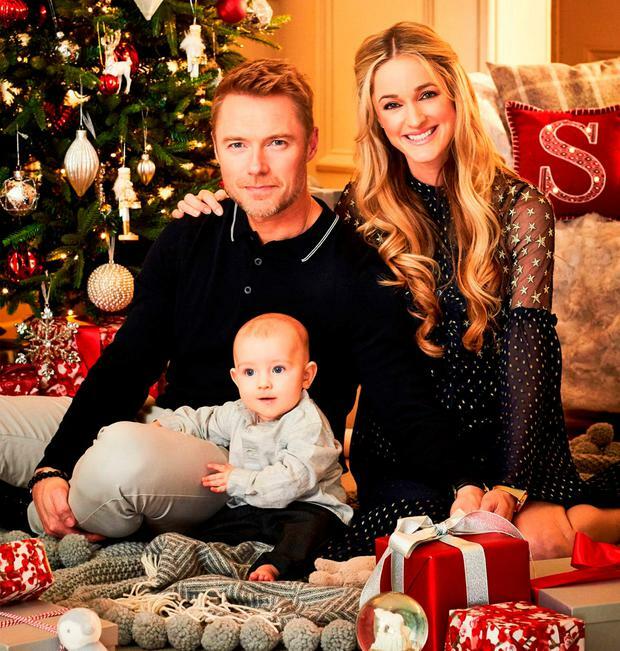 Ronan Keating says he is delighted his baby sleeps through the night - even if he still has to wake up in the early hours. The star (40) posed alongside wife Storm and the couple's baby boy Cooper, who was born in April. Keating, who has to set his alarm at 4.30am to host his UK radio breakfast show, told 'Hello!' magazine: "I can't believe I have a baby who sleeps so well, and I'm getting up in the middle of the night anyway!" 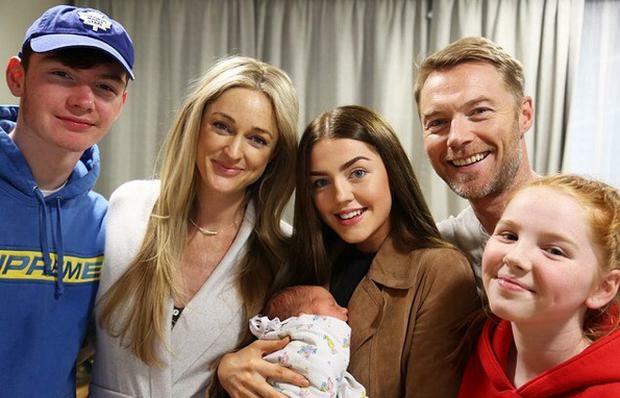 The ex-Boyzone singer has older children Jack (18), Missy (16), and 12-year-old Ali with his ex-wife Yvonne Connolly. "All four of my kids are amazing and it's very, very special to see the bond between them all," he said. The singer has previously told 'Hello!' how his son loves to listen to him and wife Storm sing. "He loves it. He loves a bit of singing, whether it is mummy or daddy!" he said. Ronan and Storm, who tied the knot in 2015, announced the arrival of their son - full name Cooper Archer Uechtritz Keating - on April 27. Ronan previously opened up to 'Hello!' about expecting his first child with Storm. "She's going to be an incredible mother. She's a real Earth Mother. She's a very grounded woman, she's excited about being a mother and she has that natural ability and connection. I'm very excited to see her in that situation. We're over the moon, we cannot wait," he said.